Superb welding characteristics with TIG DC, TIG AC and Stick welding processes. Adjustable cleaning and penetration for perfect aluminium welding. Variable AC frequency (40-400Hz) for control of travel speed and penetration. Full function user-friendly control panel layout with graph and a numeric display make it easy to set all welding parameters. 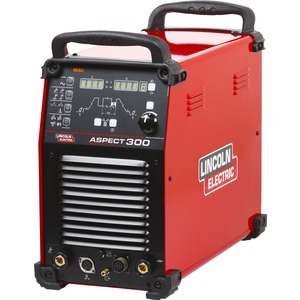 Aspect® 300 is an industrial AC/DC TIG welding machine designed and manufactured using the latest inverter digital technology. 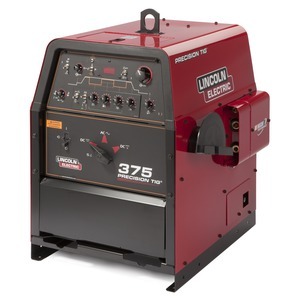 This machine has been designed and built to perform in the most hazardous environments at high outputs: 300A at 35% duty cycle both in TIG AC and TIG DC application. 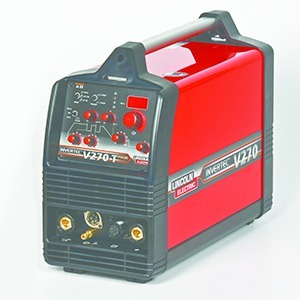 The controller provides all the features you would expect from industrial AC/DC TIG inverter welding machines combined with a user-friendly front panel layout, setting advanced TIG parameters has never been so simple! The top class features like the 2A minimum current, the multiple AC mode selection (including four different wave shapes), the optimized TIG start with adjustable electrode type and HF polarity, make the unit the right choice to suit any application. It can be simply changed to water-cooled by adding the COOL ARC® 46 Water Cooler. A robust, stable and well equipped cart is available for easy movement of the unit. 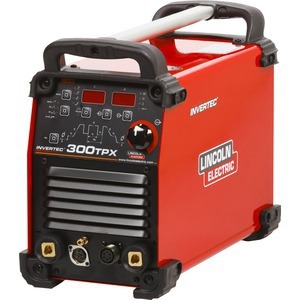 Advanced inverter technology for superior TIG performance. Superb welding characteristics with TIG AC, TIG DC and MMA processes. Rugged construction electrical safety (IP23), potted PC boards and optimum airflow reduce contamination to extend the equipments life in the harshest environmental conditions. PFC (Power Factor Correction) advantages 30% more output current with the same input current, suitable for 115-230V (+15%-10%) single phase, low current consumption, energy saving, low current harmonics and reduction of the total CO2 produced by the welding process. Water coolers and Carts available.